The six storey front of this large building has unusual brickwork. 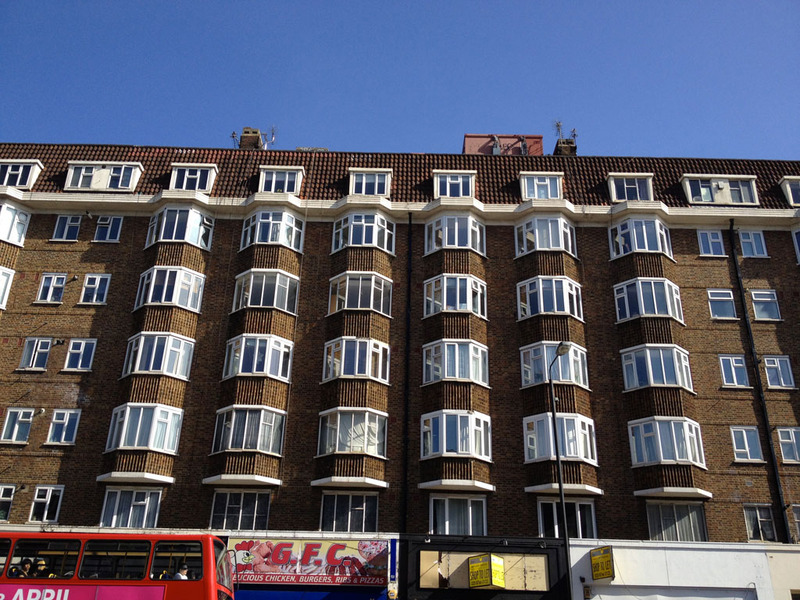 Small full height canted bay windows and bricks laid at an angle create vertical striped patterns to animate the facade. In addition there is a steep mansard roof of red pantiles with dormer windows. 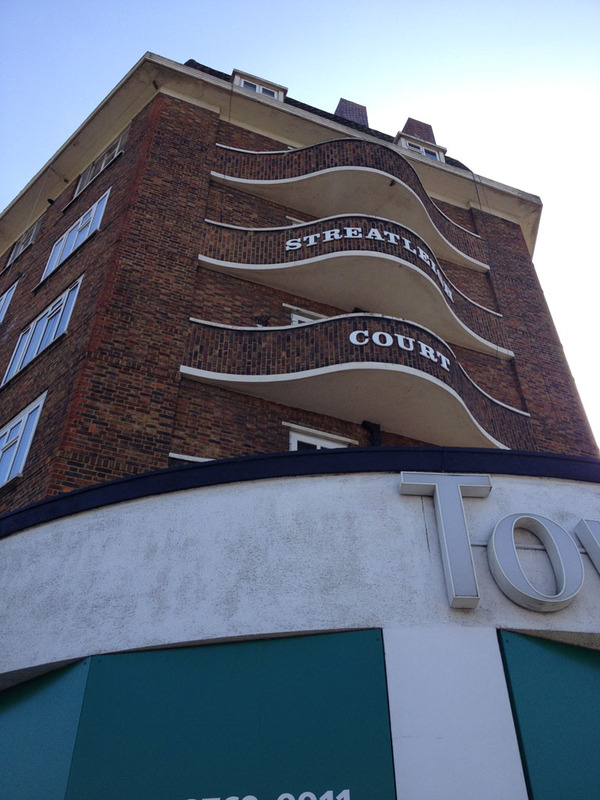 Above the main entrance to the block, on the prow of the building, there is a single curved “eyebrow” style balcony on each floor. The original windows are metal casement type and the builders were The Rogers Construction Co. Ltd. The South Metropolitan Gas Company moved in to the ground floor showrooms in January 1938 and British Gas continued to occupy the premises until August 1993. The showrooms are now occupied by an estate agent.